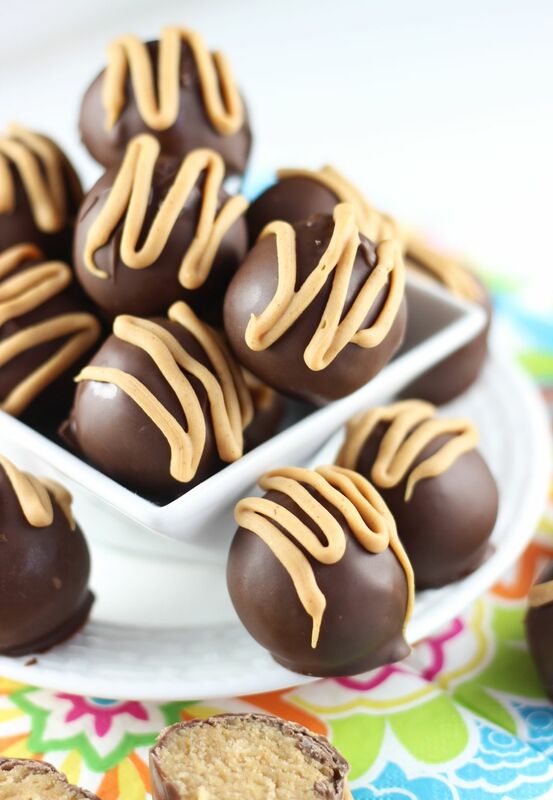 Chocolate Peanut Butter Cake Truffles will simply make your whole day better. Who could resist such a delectable treat of peanut butter cake crumbs mixed with peanut butter buttercream, and dunked in a chocolate bath! 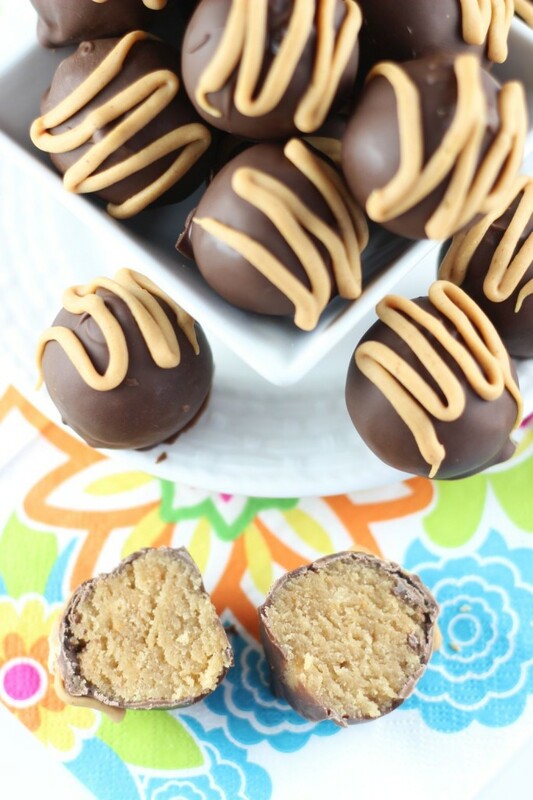 These Chocolate Peanut Butter Cake Truffles are fab! I did a lot of truffles’ lately. Oh you just wait. So many truffles coming at you soon. And I did also warn you that January would be the month of peanut butter! 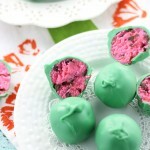 It felt like I spent four solid days straight rolling things into balls and dunking them in melted chocolate recently. I didn’t, but it really felt like it. 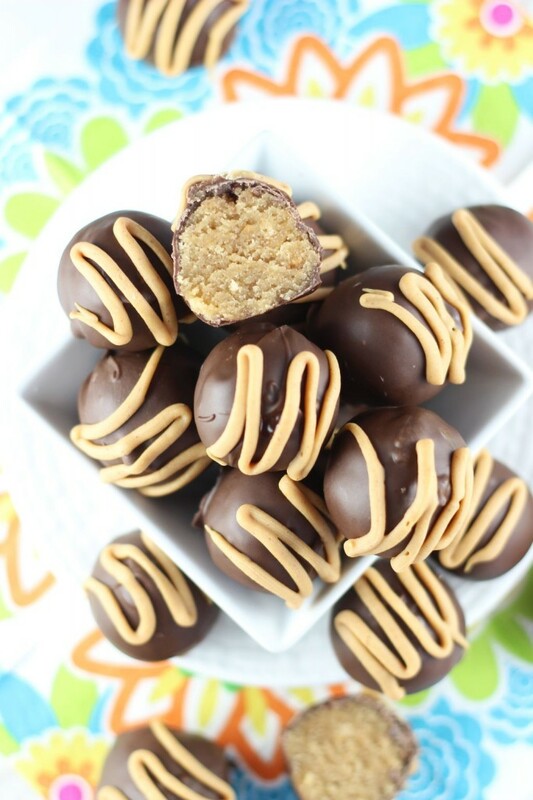 It was a lot of dunking, not the least were these Chocolate Peanut Butter Cake Truffles. I used to hate having to dunk things into melted chocolate. It can be a messy business, but I think I have it down to a science now. 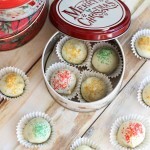 I’m churning out neater truffles and cake balls than I have in the past, and faster too. Whew. 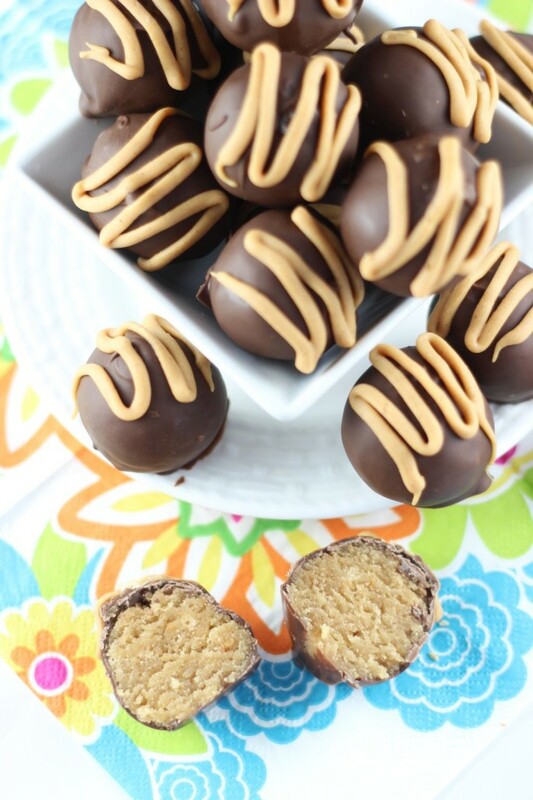 These Chocolate Peanut Butter Cake Truffles didn’t turn out too bad, don’t you think? 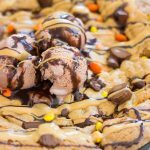 It’s the peanut butter drizzle on top… adds character! The idea for these chocolate peanut butter cake truffles – an idea that I only wish I’d thought of sooner in life – came to me when I was making these Fluffernutter Cupcakes. To fill the cupcakes with marshmallow, I needed to scoop out a ball of cake in the center of the top of the cupcake. I had so many pieces of cake leftover, and I didn’t know what to do with them. Naturally, I hate to see any food go to waste, especially if it’s cake, and *especially* if it contains peanut butter, so I decided to repurpose those pieces of cake. I mixed the crumbs with some leftover peanut butter buttercream, rolled them into peanut butter cake truffles, and dunked them in melted chocolate. They were dynamite. So that was how the idea came about for me. 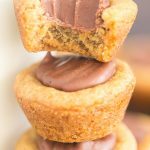 I recreated the chocolate peanut butter cake truffles recipe as a complete recipe so that you can make them without needing the scraps of these Fluffernutter Cupcakes. However, those cupcakes are also completely delicious, so now you have an excuse to make them too! 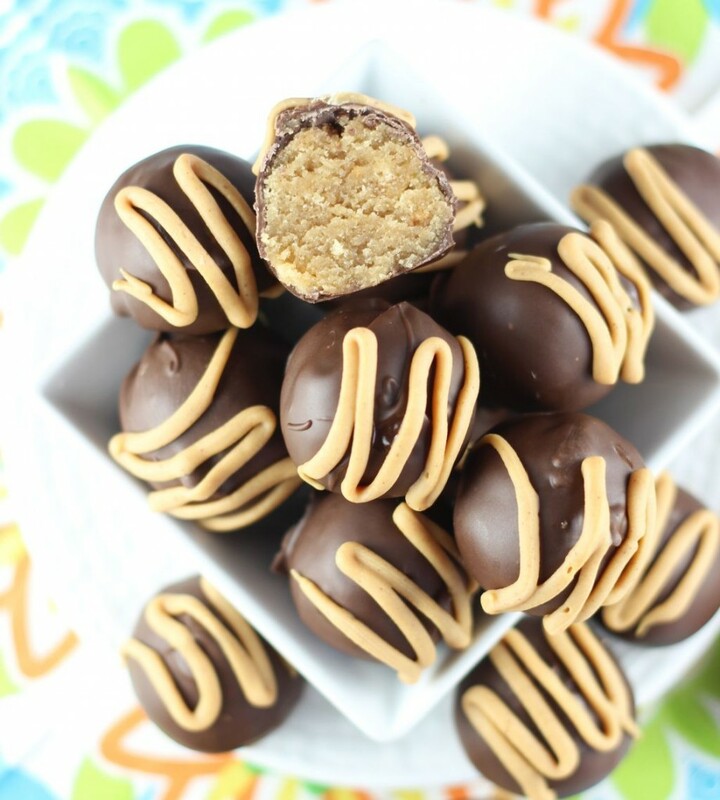 These Chocolate Peanut Butter Cake Truffles are moist and flavorful, packed with peanut butter, and paired with one of their best companions – chocolate! If you’d like to check out other popular peanut butter recipes on the blog, these White Chocolate Buckeyes are crazy loved, so is this Peanut Butter Cup Brownie Torte, and of course, my peanut butter pie recipes, like No-Bake Peanut Butter Pie Recipe, the more decadent Reese’s Cup No-Bake Peanut Butter Pie recipe, and my Nutter Butter Peanut Butter Pie recipe. All are ready in minutes, and are sooooo popular and loved! That’s just to name a few. 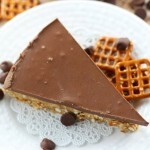 I have TONS of peanut butter desserts here! Truffles are the best! These look amazing 🙂 I love yellow cake, peanut butter, and chocolate so much! I am totally digging this month of peanut butter! These look amazing! 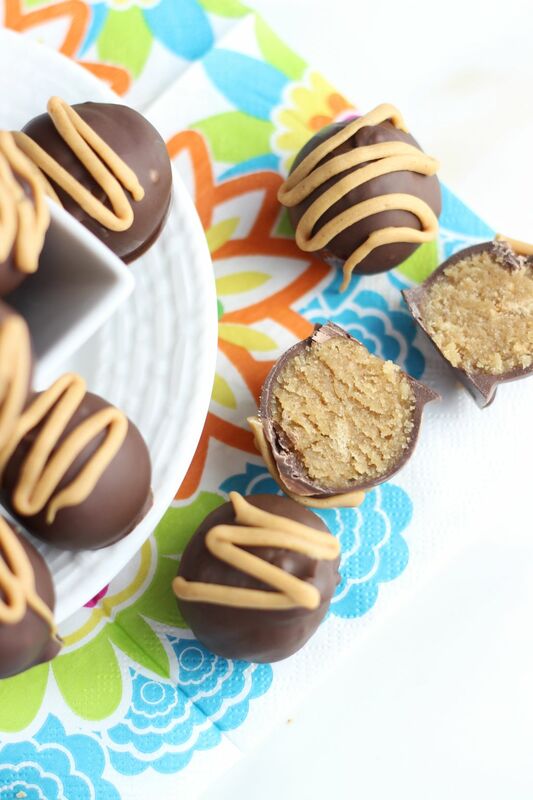 My husband LOVES peanut butter and chocolate- he’d die if I made these for his birthday in a couple months. 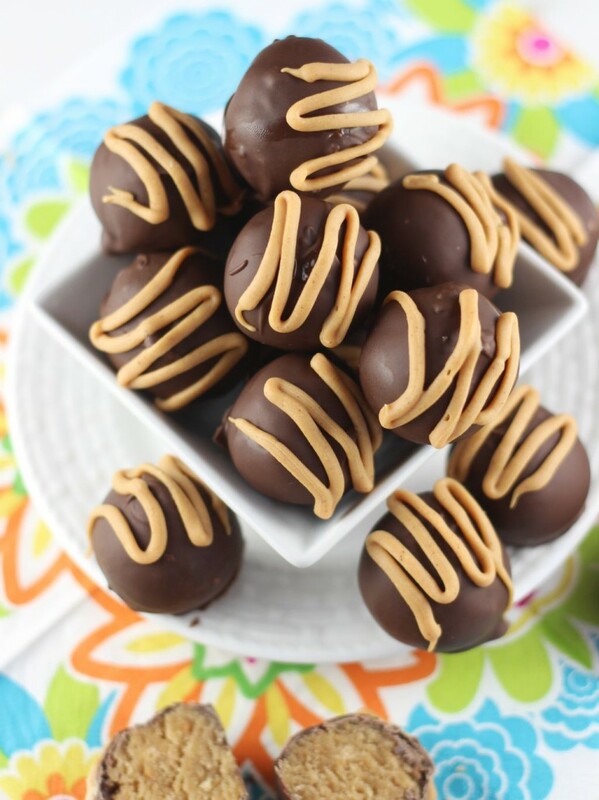 Chocolate and peanut butter are a fantastic combination. Thanks for sharing on Creative K Kids Tasty Tuesdays. chocolate and peanut butter – oh yum!! Thanks for sharing on the “What’s for Dinner” link up!